Founded by the Lockton Companies, Mylo will use Series A funding round led by Guggenheim Partners to accelerate its current business strategy and activate additional new ways to achieve success. 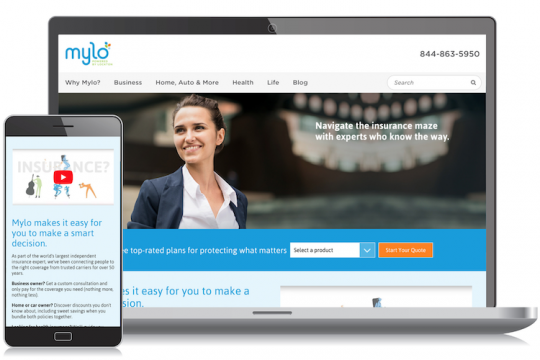 Digital insurance broker Mylo (Kansas City, Mo.) has announced that it has raised $28 million in a Series A funding round led by Guggenheim Partners (New York/Chicago). Waller Helms Advisors acted as exclusive financial advisor to Mylo and Lockton Companies (Kansas City, Mo.) in the transaction. The broker says that Guggenheim’s long-term investment will allow Mylo to accelerate its current business strategy and activate additional new ways to achieve success. 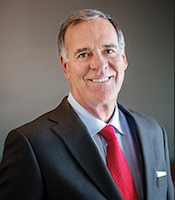 David Lockton, Chairman, Lockton Companies. Lockton Companies, which launched Mylo in 2015, says it created the digital broker to provide a quick, convenient way for small businesses and individuals to get customized advice, compare and purchase insurance products online or consult with licensed agents. Mylo reports that it has achieved significant month-over-month revenue growth since its launch. Mylos says that it has leveraged Lockton’s 50 years of experience and is unleashing a high-caliber team of developers, digital marketers and insurance experts, Mylo is delivering on its vision to “revolutionize insurance to protect what matters.” Today, Mylo gets to know their client’s needs, makes coverage recommendations and matches those with carrier appetite at the best value, allowing individuals and small businesses to have confidence in their coverage. Lockton Companies reports that it will continue as Mylo’s majority investor. “This outside investment validates Mylo’s business strategy and will help support its success in disrupting the insurance marketplace,” comments David Lockton, Chairman of Lockton Companies.